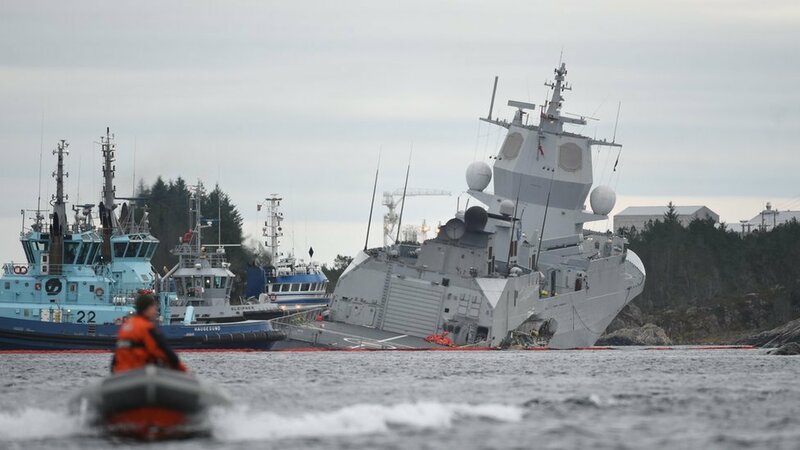 Norway has evacuated all 137 crew from one of its warships after it collided in a fjord with a Maltese oil tanker. Eight people were lightly injured in the collision in the Hjeltefjord near Bergen. The KNM Helge Ingstad frigate has been listing dangerously. 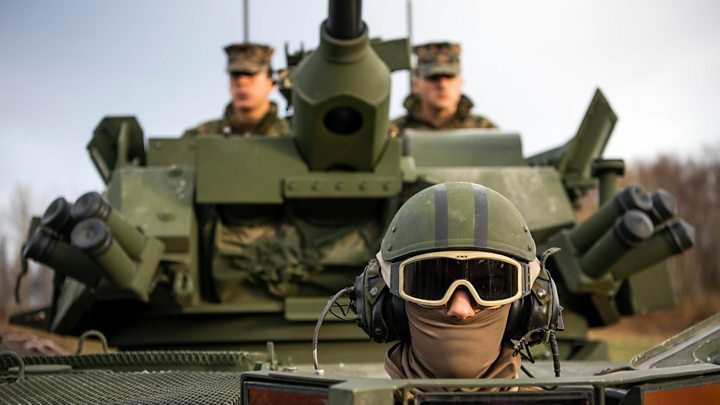 The warship had been returning from Nato military exercises. The tanker, the Sola TS, was slightly damaged and it appears that it did not spill oil. The incident led to the shutdown of a major oil terminal and a gas plant. What is known about Thursday’s incident? The tanker had already left Equinor’s Sture oil terminal with a cargo of North Sea crude, Reuters news agency reports. 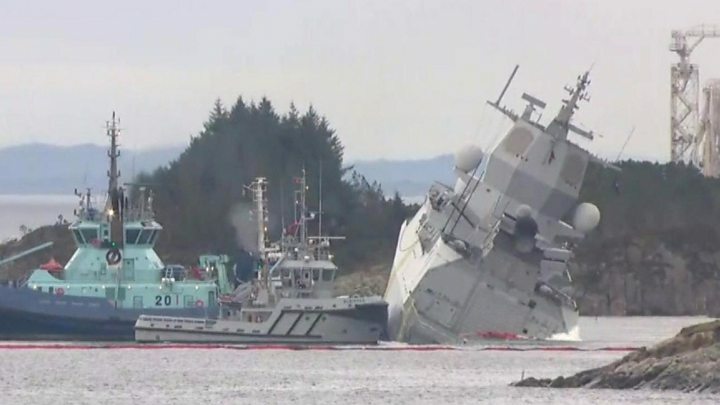 “Due to the damage to the frigate it was moved to a safe place,” Nato’s Allied Maritime Command said in a statement. The tanker, which has a crew of 23, returned to port for inspection. The Sture terminal is a major tanker port, with almost 25% of Norway’s oil production passing through the facility. Meanwhile, the Kollsnes plant processes gas from several fields for a number of European countries, including the UK. It was not immediately known how the temporary closure of the facilities would impact on wholesale gas prices.